KTR has opened a new cooler production plant in Jiaxing/China. From the beginning of 2019 multimedia coolers for mobile machines as well as oil/air coolers for stationary hydraulics will be manufactured there. The manufacture of the first prototypes in the new manufacturing hall covering a surface of approx. 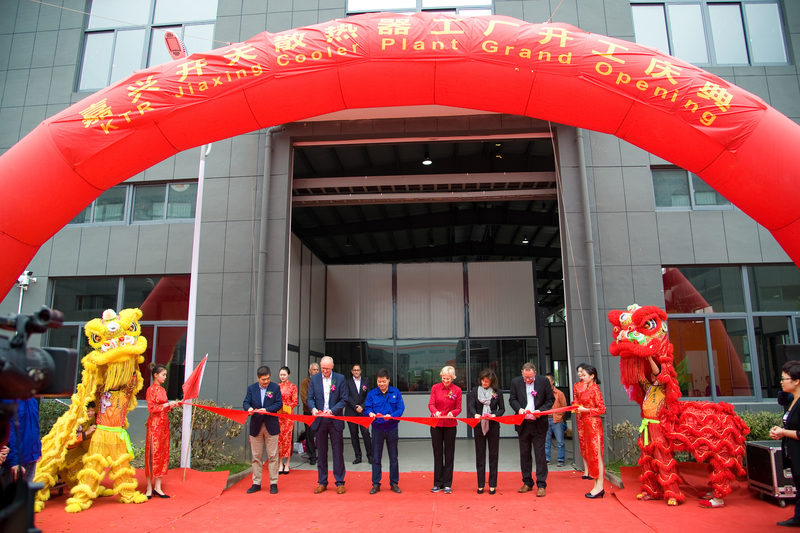 9,000 m2 in Jiaxing, about 100 kilometres southwest of Shanghai, started in October 2018. The processing of roughly 200 tons of aluminium per month into high-quality cooling systems being used as multimedia coolers in construction and agricultural machinery or oil/air coolers in stationary hydraulics has been scheduled. For that purpose KTR invested in state-of-the-art machinery. The new cooler production plant is the affirmation of the expansion policy in China to which KTR have committed themselves. Only in 2016 the new plant for couplings and brakes in Jiaxing started operations. The surface comprising a total of 30,000 square metres combines in particular production, assembly and logistics as well as R&D performances for selected product segments: „We have scheduled to establish Jiaxing as a location for production and logistics to supply the whole of East and South-East Asia with tailor-made drive solutions from that site“, KTR’s CEO explains.